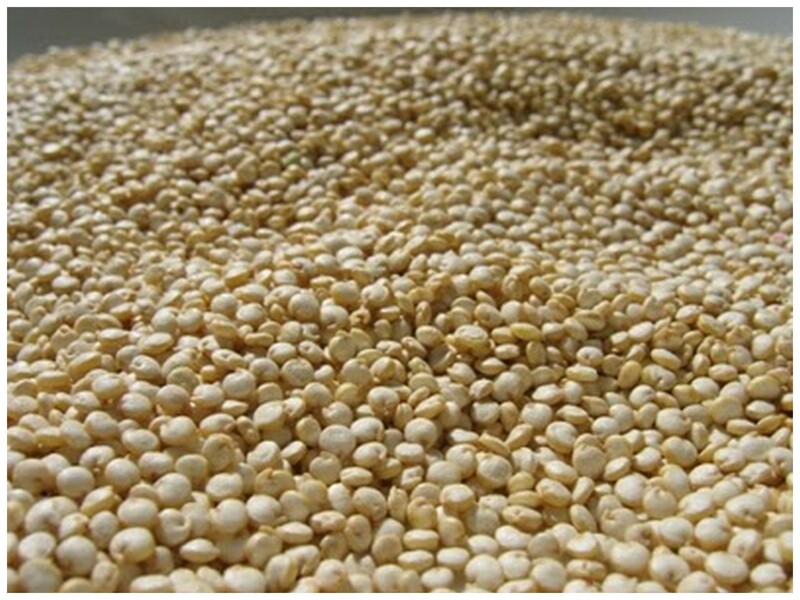 Quinoa (pronounced keen-wah) is a grain-like crop grown primarily for its edible seeds. It originated from the Andes Mountains of South America and where they refer to it as the “mother of all grains”. Quinoa contains a balanced set of all 8 essential amino acids, making it an unusually complete protein source among plant foods. It is a good source of dietary fiber and phosphorus and is high in magnesium and iron. 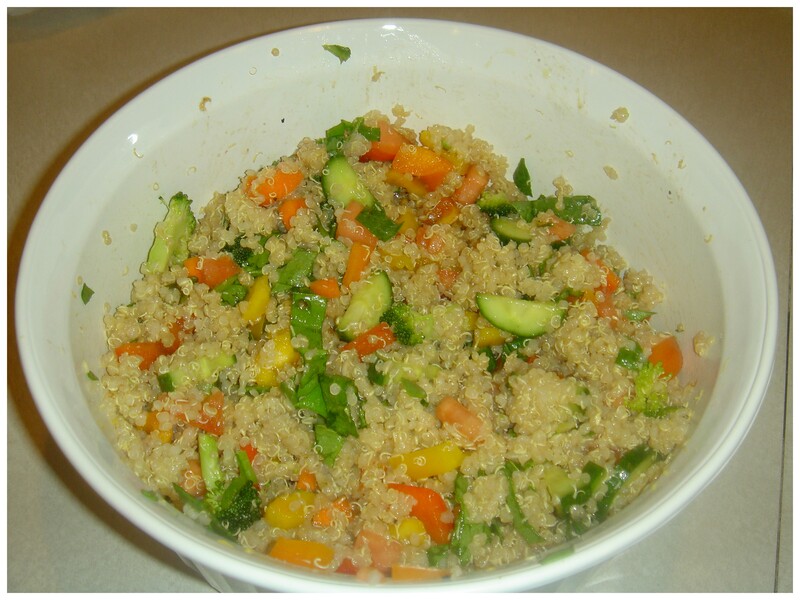 Quinoa is gluten-free and considered easy to digest. Sounds pretty super to me! We really enjoy it in the summer as some recipes are chilled salads, but it can be substituted for rice or really any grain in recipes. One thing you must do to prep it for cooking is to throughly rinse it. The seeds are coated with saponin which is bitter tasting. Most boxed quinoa is pre-rinsed but I always try to rinse it first before I cook it. I like to buy Bob’s Red Mill Organic Quinoa that is pre-rinsed but last time I got a huge package of Earthly Delights Organic quinoa from Costco and it definitely needs to be rinsed. Here is a recipe of my Mom’s that is really refreshing on these HOT summer days. We’ve had it once fresh and twice left over this week – yum! Cook quinoa in water according to directions. Rinse it first in a fine-mesh colander until water runs clear! While quinoa is cooking, whisk together lemon juice, balsamic, olive oil, garlic cloves, fresh basil and salt and pepper. When quinoa is finished cooking, allow to cool slightly then, toss with vegetables and lemon juice mix, stirring well to combine. Chill before serving. This can be served as a main dish with a nice big salad or as a side dish. I hope you like this grain-like seed as much as we do.